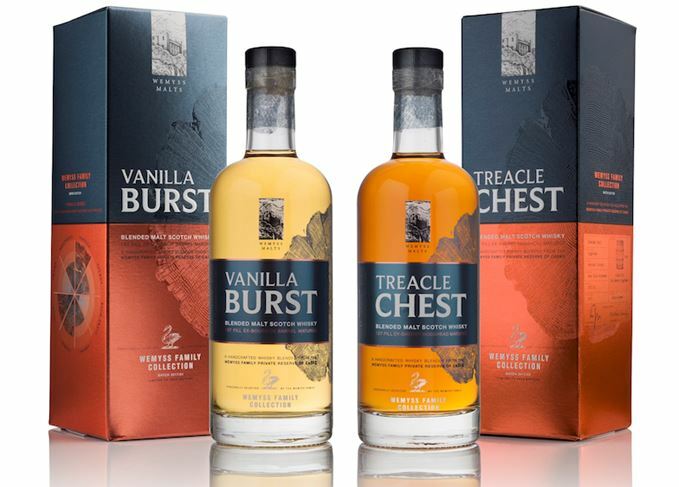 Independent bottler Wemyss Malts is launching the Wemyss Family Collection – an annual release of blended malts based on the main influences on Scotch whisky flavour. The annual Wemyss Family Collection releases will focus on a different influence on Scotch whisky flavour each year, including region, distillation technique, peat level, peat terroir and cask effect, all chosen with the guidance of experts including Charlie MacLean. Both whiskies are bottled at 46% abv, without chill filtration or colouring, and are packaged in screenprinted 70cl bottles with charcoal- and copper-coloured gift cartons. The new range is sourced from the Wemyss family’s private collection of casks, incorporating spirit selected from a number of Scottish distilleries and matured in casks sourced by the family-owned company – rather than using whisky that has been acquired when already mature and ready to blend. ‘It is with great anticipation and excitement that we release to the drinks enthusiast and whisky community the first two Wemyss Family Collection bottlings,’ said William Wemyss, founder and managing director of Wemyss Malts. Both blended malts will be available from mid-August at retailers in the UK, EU and key Asian markets. The independent bottler is launching a new blended malt finished in Madeira casks. The release comes as the St Andrews distillery waits for its first single malt whisky to mature. Wemyss Malts kicks off its new whisky club with an exclusive 35-year-old Caol Ila. A bevy of Bunnahabhains comes under scrutiny, along with Clynelish and Glenrothes. Three flavour-named blended malts; two singles from Burn Stewart; one delightful NAS Glenfarclas.